Showcasing a versatile and expansive range of music, Grammy-winning dance music DJ & producer, Afrojack, has today released a new EP titled “Press Play”. The EP features cross-genre dance music from club bangers to melodic anthems to progressive-house and includes an impressive fourteen tracks. Some of the tracks are already released and others are new today. The EP is also being released on Wall Recordings. Named the #8 DJ in the world by DJ Mag’s Top 100 DJs poll (his seventh consecutive year of appearing in the Top 10) and slated to continue that tradition through this year’s voting, Afrojack is one of the most popular dance music acts of today and a sought-after producer who’s won a Grammy for his and David Guetta’s remix of Madonna’s ‘Revolver’ and worked with everyone from Pitbull to Sting and Chris Brown. Coming from a two-year period that saw him drop an array of hits such as ‘Bad Company’ with Dirtcaps, ‘Helium’ with David Guetta and Sia, and a remix of U2’s iconic ‘Get Out Of Your Own Way’, Afrojack continues to bend genres as a musician with an admirable work ethic, huge output and peerless sense of what makes a record erupt in music scenes across the globe. Add to that the gamut of top-tier festivals he wrecks the mainstages of and you know Afrojack is in it to win it whenever he drops a new crowd favorite, let alone an entire fourteen-track EP. The DJ who was born in Bristol, England has an impressive career with a lot of successful tracks. Now he can add this remix to that wonderful list. The original track is from the ‘Sound Advice’ album of Ben Gold. STANDERWICK made a powerful and energetic remix of ‘There Will Be Angels’. Trance fans from all over the world will lose their minds by hearing this stunner. Are you curious? Featuring a devastating kick-bass combo alongside soaring synths and Audrey Gallagher’s highly-recognizable timbre, STANDERWICK’s remix of Ben Gold’s ‘There Will Be Angels’ is heaven on earth for many Trance fans. Energetic, powerful and stirring, this song is all you bargained for and more. Prolific as ever, Radion6 is back on A State Of Trance with another beast of a record. Following the gorgeous ‘Our Beautiful World’, ‘Surrender’ sees the talented Dutchman tap into his bottomless well of inspiration to once again shower the crowd with entrancing melodies and big power surges. This cut make you bend the knee in admiration. 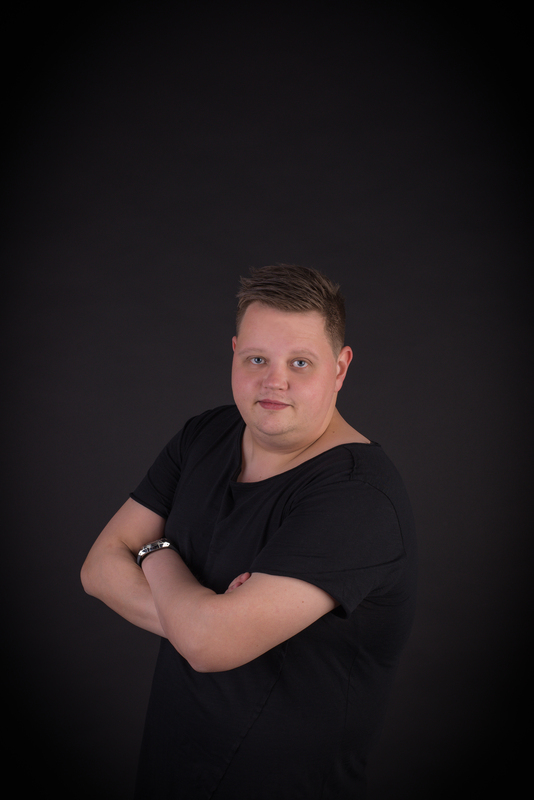 The Dutch DJ and producer John Christian is a familiar name within the industry thanks to his high-profile production work. 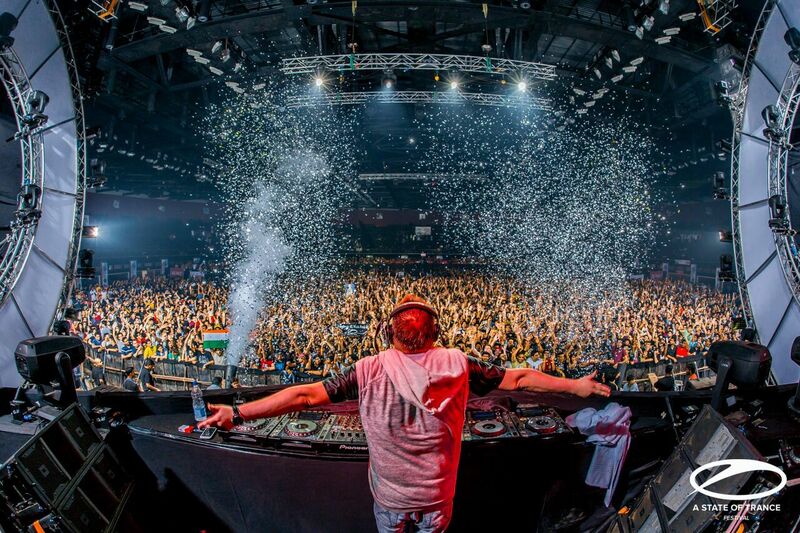 His track ‘The Trip’ has already broken some crazy record! It’s been played for two years in Armin van Buurens sets, but still remained ID until now! Insane right?! 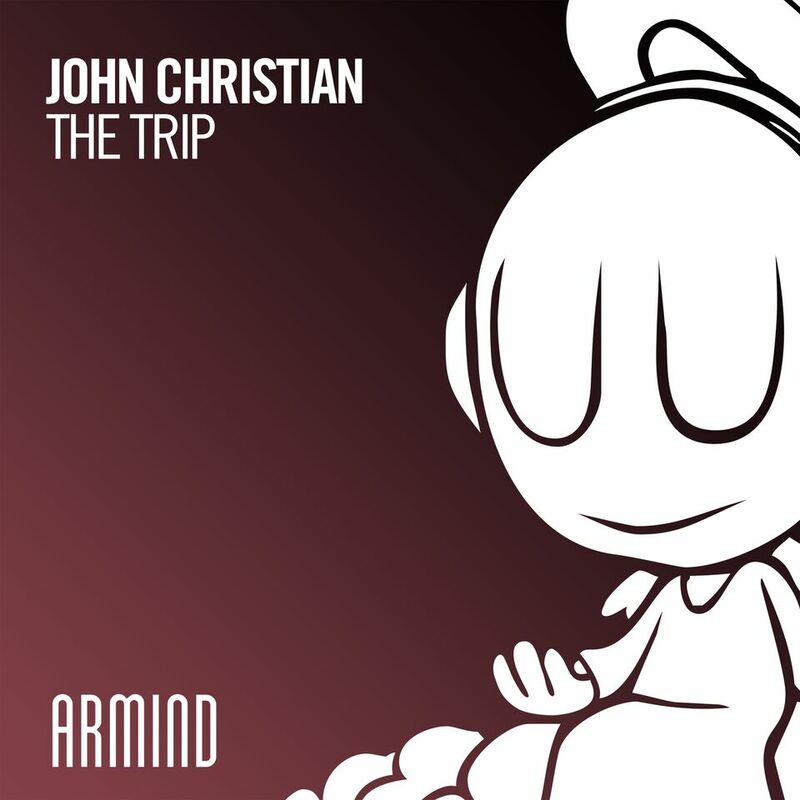 Pummeling through clubs and festivals like a steamroller, John Christian’s ‘The Trip’ exudes power from start to finish. Armed with tremor-like kick drums, colossal synth blasts and pounding bass, this cut is why venues ought to have a replacement sound system nearby. NIGHTMARES ON WAX PRESENTS: WAX DA JAM GRAND CLOSING. Collaborating with Last Night a DJ Saved My Life foundation raising money for children in crisis. Oceanic Global and Love Ibiza Now by going plastic straw free at all events. Party with us and make a difference! Welcoming any age from 16 and over, the party happens inside and out and offers a refreshing alternative with good food, market stalls that support Ibiza local brands and so much more from 8pm. The open air restaurant is set in the beautiful and charming Las Dalias garden. Wax Da Jam are now in collaboration with Love Ibiza Now, a non profit organisation campaigning for a #plasticfreeibiza future for Ibiza. They will be selling tote bags, tees and chatting all things LOVE IBIZA NOW. Born and raised in Ibiza, Hjordis Fogelberg has beautifully written and illustrated the only true insiders guides to Ibiza + Formentera. Also a founder of LOVE IBIZA NOW, she will be proudly selling and signing the guides from their stand. Hand made on the island Francesca’s designs have been printed on Eco yoga mats. Francesca is an internationally acclaimed Love Artist and Visionary whose awe-inspiring paintings and murals have created a ripple effect of positive change across the globe. Deeply influenced by Mother Earth, vibrant colours, and the magic of geometry, her work is filled with positive frequencies and high vibrations. Nightmares On Wax merchandise stand. Don’t leave the night without grabbing the new Shape The Future and Back To Nature merchandise! 2016 saw him ‘Watch The World’, ’17 was the year alter-ego Dakota album-returned and yin to yang, dark to the (literal) Light, Markus Schulz will deliver the seventh long-player under his own name this fall. Final recording of ‘We Are The Light’ wrapped during the first week of August. With an October release spot looking likely, Markus heralded it as “musically both a close cousin and spiritual successor to Watch The World”. Year-starting singles ‘Calling For Love’ (feat. JES) & the Emma Hewitt-sung ‘Safe From Harm’ were both confirmed amongst its order. As, naturally, was the just out-there festival-rocker ‘Upon My Shoulders’ (ft. Sebu from Capital Cities). While further tracklist details and a full collaborator list are still pending, Markus did lift the curtain high enough for us to see Christina Novelli, Smiley, Adina Butar, Nikki Flores, Jared Lee and Alina Eremia and amongst its co-writers and singers. Full ‘We Are The Light’ tracklist details and a first look at its artwork is all to come within the next month. So keep a close eye on facebook.com/markusschulz, twitter.com/markusschulz & electronic music portals for more news as it breaks! On Thursday, September 13th The Night League in association with Music Against Animal Cruelty (M.A.A.C) present “Wild” a charity fundraising event featuring a heavyweight lineup of some of biggest names in house and techno. Black Coffee will appear as a special guest, alongside multiple other heroes of the underground. The lineup is packed with legends, including M.A.A.C. ambassadors Adam Beyer, Art Department (co-founder of M.A.A.C), Bedouin and DJ Sneak, Ida Engberg, Lauren Lane, Nitin and Tiga. Finalising the line up will be an unannounced special guest making this event a must-attend for all fans of house and techno. All DJs are contributing their performance for free and all profits from this event will go directly to wildlife conservation projects. With the support of the music community, Music Against Animal Cruelty (M.A.A.C.) aims to raise much-needed revenue from worldwide music events to directly go towards wildlife conservation in key areas. Using a worldwide collective of united like-minded individuals, DJs, artists and influential voices, M.A.A.C. has created a valued network who will in turn help create a vital source of income for international wildlife conservation projects through global music events. Conceived by international DJ and producer of Art Department, Jonny White, CEO/Founder of Pulse Global, Wade Cawood, and Founder of Tears for Tigers, Jack Baucher, M.A.A.C. will focus on two community-led initiatives in Africa; Rhino Conservation Botswana and Lion Guardians Kenya. With 90% of the world’s Rhinos lost in the last 40 years, 97% of the Tiger population gone since the year 1900, up to 30,000 elephants slaughtered for their ivory each year and the illegal wildlife trade estimated to be worth over $15 Billion USD per annum, we are now facing a global crisis where if we don’t act now, species will go extinct. Music Against Animal Cruelty (M.A.A.C.) was set up to tackle this critical situation. A non-profit organisation with one simple directive: to aid wildlife conservation through the medium of music. At the present rate, 20% of the world’s 15 million species could be extinct in the next 30 years. This is an unprecedented rate of extinction, which has not been seen since the disappearance of the dinosaur 65 million years ago. With the music industry uniting on this global cause as the project gains momentum, ambassadors for the organisation are already coming forward from many influencers in the electronic music scene, including Adam Beyer, Art Department, Audiofly, Apollonia, Chris Liebing, Damian Lazarus, Dubfire, Ida Engberg, Jamie Jones, Luciano, The Martinez Brothers, Nicole Moudaber and Tiga. Paul Woolford’s summer anthem ‘Hang Up Your Hang Ups feat Kim English’ gets an enormous remix from Grammy nominated house duo and DJs du jour CamelPhat. Delivering their FIRST remix since dropping ‘Panic Room’ – a track that notched up over 20 million streams, dominated the BBC Radio 1 A list, and enjoyed countless club plays. The seasoned DJ and producer has been leading the UKs electronic music scene for over a decade, remaining cutting edge since his early days as a resident at Back To Basics; through his 9 years as a staple at We Love Sundays at Space in Ibiza, and having worked across diverse genres and aliases – most notably as Special Request. ‘Hang Up Your Hang Ups (feat Kim English)’ has proven to be a highly responsive single, gaining support from industry tastemakers; picking up BBC Radio 1 Annie Mac’s ‘Hottest Record in the World’ as well as plays from Pete Tong, Danny Howard, MistaJam, Phil Taggart, Toddla T and Monki. At club level, the single has gained a heap of attention receiving praise and kudos from respected underground DJs The Black Madonna, Gerd Janson, Krystal Klear, Andrea Oliva, Kornel Kovacs, Joe Goddard, Yousef and so many more. The forthcoming remix comes from the current leaders of the scene, British DJ/producer duo CamelPhat, still basking in the heat of their Grammy nominated track ‘Cola’, the most Shazamed song of 2017 and Beatport’s No.1 Track Of The Year. CamelPhat bring a fresh take on the original, injecting Paul Woolford’s production with a driving, rolling stride and cascading grooves. With Kim English’s vocal looped, the building tension results in a mesmerising & euphoric dancefloor moment.